Recently renovated, sophisticated, never stuffy-your urban oasis awaits. 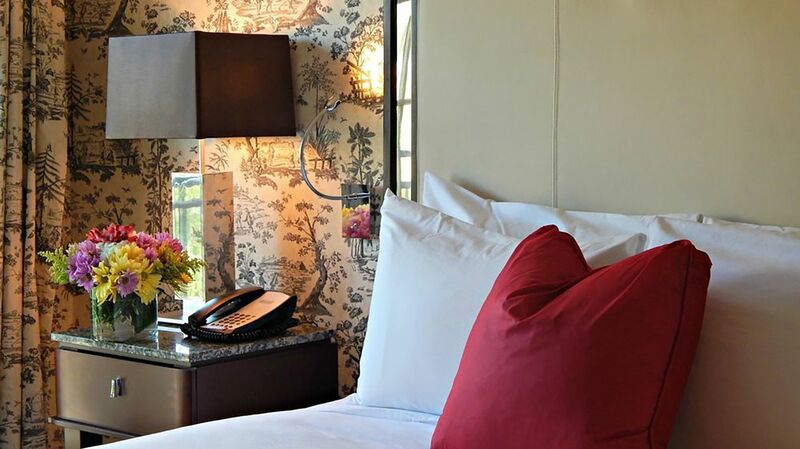 Combining the chic and intimate feel of a bed & breakfast with the convenience of modern amenities, The Normandy is a welcome reprieve from the exhilarating pace of the city. You'll be tempted to stay in bed all day, wrapped in the comfort of your down-filled duvet. Not to mention, with the ease of streaming media from your personal device to the room's TV, you'll be anxious to finish your latest Netflix obsession (Be sure to pack your own audio/HDMI cables!). Limited parking is available for compact and mid-size vehicles. No oversized vehicles are permitted. Parking is not guaranteed and available on a first come, first serve basis. The Normandy Hotel shall not assume liability or responsibility for any vehicle, occupants, or contents while operated or parked at the hotel. Pet-Friendly Accommodations available for additional $25 per pet per night. Pet-Friendly lodging must be specified at time of booking. Violation of this policy will result in a $250 fee. All of our rooms have been recently renovated! 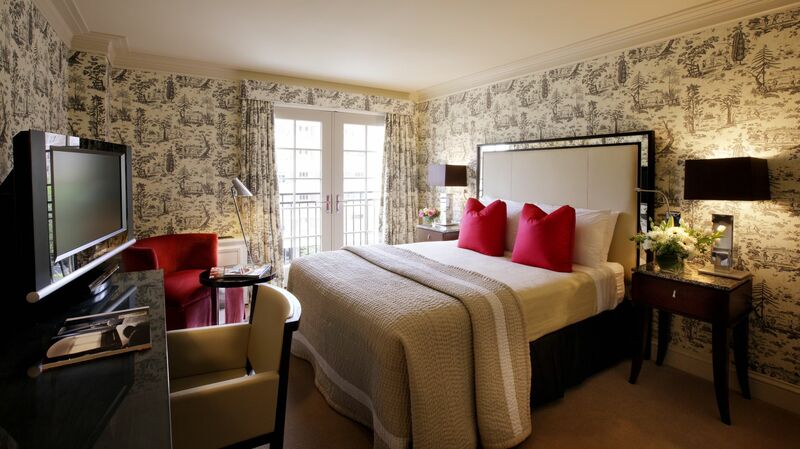 Elegance is alive in our European-inspired Deluxe Rooms, turning even realists into hopeless romantics. Enchanting French doors, beautiful marble bathrooms, and modern, deluxe amenities encapsulate the sophistication of The Normandy. Be sure to enjoy “a spot of tea” by our fireplace before turning in for the night in one of our recently renovated Deluxe Rooms featuring a King or Queen bed. 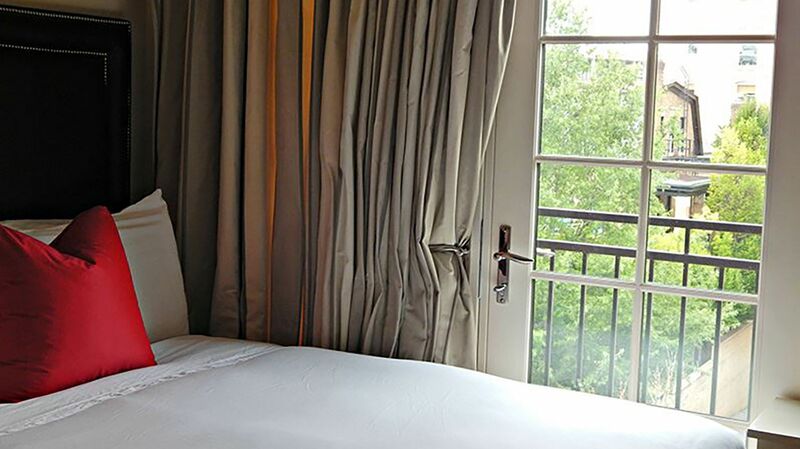 Escape the hustle and bustle of exciting DC with a 100% natural down-feather duvet day in one of our luxurious recently renovated Superior Rooms, featuring a single Queen bed or two Double beds. Outfitted with modern amenities, pristine marble bathrooms, and Euro-inspired decor, our chic and intimate Superior Rooms are a haven of comfort and convenience for both business and leisure travelers, offering guests a corner of the city they can call their own, even if just for a night. Awake refreshed and ready to tackle another exciting day in D.C in our recently renovated Single Queen Superior Rooms. Each room features all the modern amenities fit for a queen (or king), plus pristine marble bathrooms that will leave you feeling like royalty. Everything is better with someone by your side. Talk business with a co-worker, or reminisce into the wee hours of the night with an old friend in one of our recently renovated two-bed Superior Rooms. This room features all of the modern amenities you’ve come to expect, plus pristine marble bathrooms and European-style decor that reflects your classy and cultured style.